To Dog With Love: Fido's Freebie Friday Gets Ready for #EBChat giveaway event, Dec. 12! Fido's Freebie Friday Gets Ready for #EBChat giveaway event, Dec. 12! This week we have an extra special giveaway AND a Twitter party to go along with it! 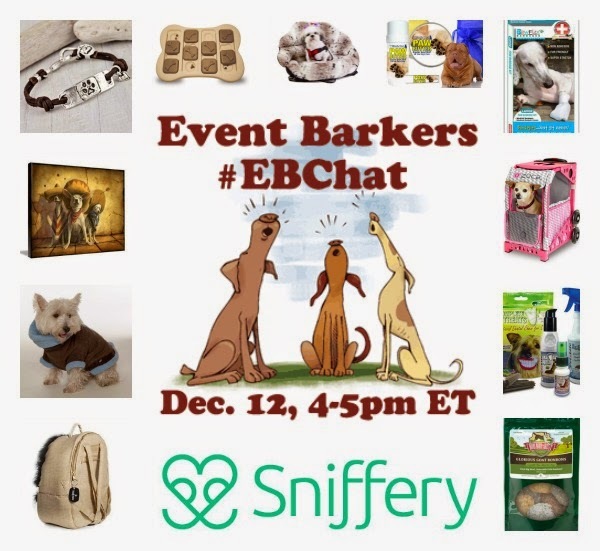 If you haven't done so already, check out the Event Barkers #EBChat we have planned for tomorrow (Friday, Dec. 12) from 4 - 5 p.m. with Sniffery.com. It's a colossal giveaway event with 11 prizes valued at a total of $1,000+! Take a look at all the prizes and RSVP on our announcement post. 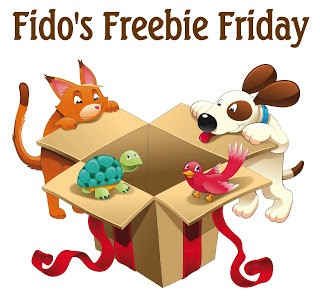 While you're waiting for all the fun to begin tomorrow, check out the selection of this week's giveaways in the Fido's Freebie Friday Blog Hop below. You can enter them all or add your own! We make it easy by linking them up all in one place. There are everything you need to know about dogs.